Gang Liu/Shutter StockYou won’t be able to Instagram your food at this restaurant. A restaurant in Sioux City, Iowa is sick of its customers texting at dinner, writes Dolly A. Butz in the Sioux City Journal. Sneaky’s Chicken owner Dave Ferris and his daughter Christy Wright were so tired of patrons sitting in silence and staring at their phones that they are now offering a monetary incentive for people to put those phones into a box while they eat. Servers come around before the meal, and if you’re willing to throw your beloved device into the box, Sneaky’s Chicken will give you a 10% discount. The pair enacted the plan as an experiment to see if people would stop being so connected and just “enjoy each other’s company,” Wright told the Sioux City Journal. Wright told the Sioux City Journal that almost all of their customers participate, and some even forget to pick up their cell phones on the way out. “We’ve had to chase them down with the box,” Wright said. But Sneaky’s Chicken is not the first to offer discounts for staying off your phone. 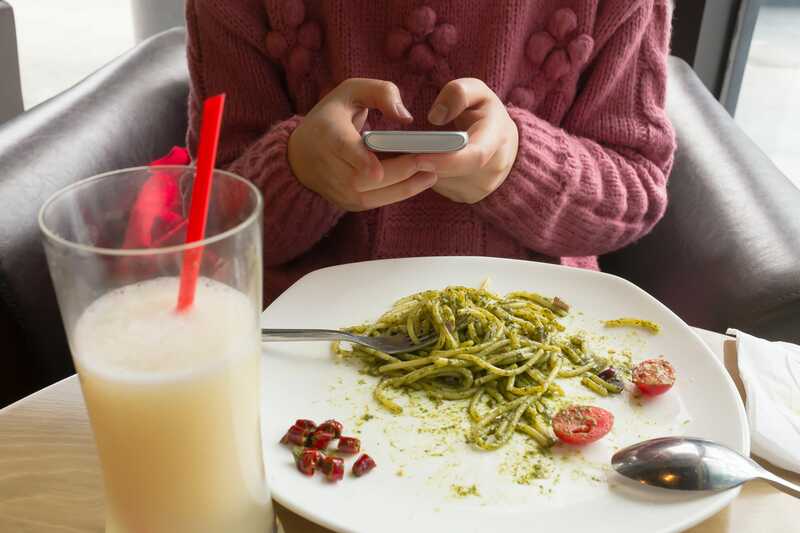 Last year, a restaurant in Israel decided to give an insane 50% discount discount to anyone willing to completely switch off their phones for the duration of their meal. In 2012, a restaurant in LA offered a 5% discount if customers handed over their phones. And some restaurants are so fed up with phones that they have flat out banned the use of cell phones in their establishments. Now maybe people will be more encouraged to share their meal with their fellow dinner companions instead of with Instagram.